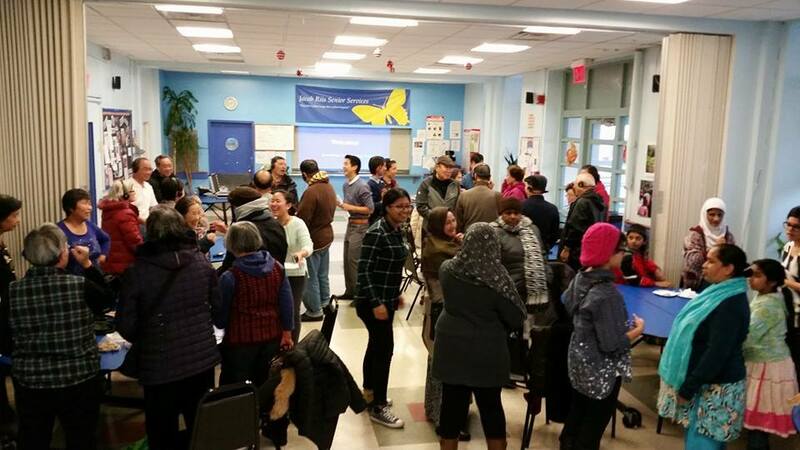 CAAAV currently has three programs organizing low-income Asian immigrants in Chinatown and Queensbridge Public Housing for racial, gender, and economic justice. Our Chinatown Tenants Union (CTU) develops the leadership of immigrant Chinatown residents to organize against tenant displacement, fight gentrification, and advocate for housing policies that protect affordable housing for low-income tenants. CAAAV’s newest project, the Public Housing Organizing Project, develops the leadership of Bengali, Chinese, and Korean public housing to fight for language access, advocate for healthier living conditions, and participate in a larger multiracial fight for public housing preservation. Asian Youth in Action (AYA) is a 7-month internship program running from February 2016 to August 2016 for youth ages 14-21. This is an opportunity for Asian young people who speak Bangla, Korean, Mandarin, and/or Cantonese to serve low-income Asian immigrant communities. Through this internship, AYA aims to bring together a group of vibrant, compassionate Asian youth, who will gain valuable professional development, experience, and personal growth through our organization. DONATE TODAY to support our critical work building Asian immigrant power.